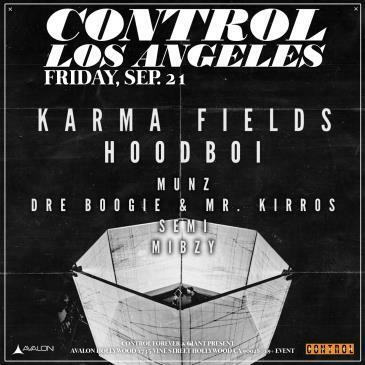 On September 21st, CONTROL Fridays at Avalon Hollywood is taking over once again. This time they have a truly unique electronic music producer, Karma Fields, as well as support from local talent Munz, JP, Semi, Mibzy, and another special guest to be announced soon. Karma Fields is a producer in a league of his own. His music portrays the theme of human connection and dependence on technology, and he has the incredibly mesmerizing visuals to match, by Raven Kwok. His sound has an overwhelming sense of balance of beauty, curiosity, peace, and omniscience. Karma Fields is a true artist with a vision and a voice, and what he produces all comes together to create visual and auditory magic with bumping beats and breakdowns. 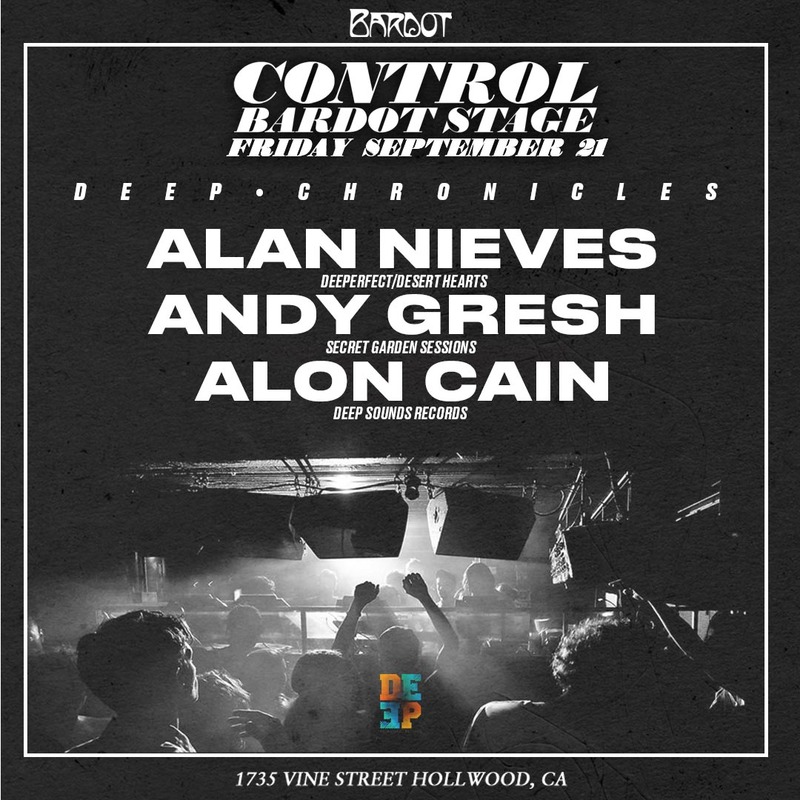 Don’t miss this epic, awe-inspiring show at Avalon Hollywood on September 21st. 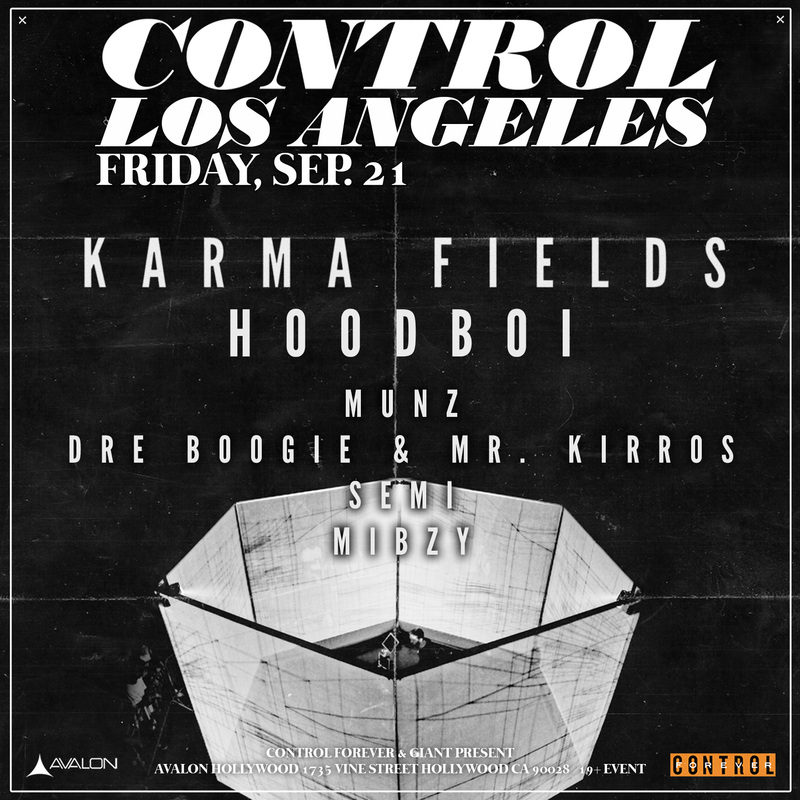 Karma Fields, a mystery surprise guest, Munz, JP, Semi, and Mizby are throwing it down with a full night a good music and dancing.